Zombies and vampires are everywhere, so it is very refreshing to find a book about werewolves. The werewolf genre is not over-saturated so reading about these creatures feels new, and in the case of W. D. Gagliani’s Wolf’s Edge, feels exciting. 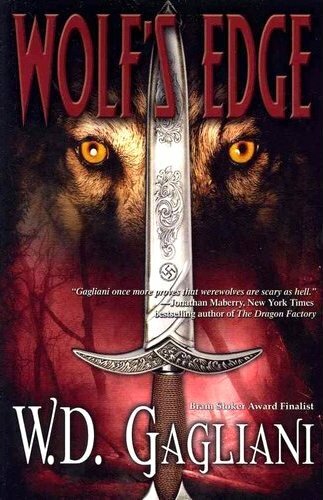 Wolf’s Edge (2011) is the newest installment of Gagliani’s Wolf series, which starts with Wolf’s Trap (2006), then continues with Wolf’s Gambit (2009) and Wolf’s Bluff (2010). 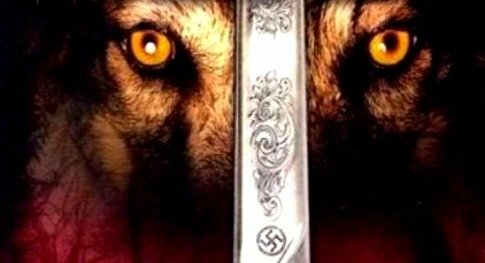 Even if you have not read the first three in this series, you can pick up Wolf’s Edge and read it, because it can be enjoyed as a “stand-alone” novel. The first chapter briefly catches the reader up on the previous three books, then launches into a fast-paced and exciting thrill-ride into new adventure. Wolf is the translation of Lupo, which happens to be the main character’s last name. Nick Lupo is a homicide detective out of Wisconsin. He is a complicated, sarcastic but relatable protagonist who is full of angst, and Gagliani writes him with depth and emotion. So why is Lupo so full of angst? He is a werewolf who is always at odds with his condition because he wants to be a protector of people, not the killer of them. There are flashbacks in this book that explains a lot and are fascinating to relive. Gagliani takes us to Italy and reveals the roots of Lupo’s lycanthropy. But what is probably the most original and ingenious plotline of any is the way Gigliani smoothly combines both mythical monsters with the human kind of monsters…in this case, Nazi werewolves! A nefarious agency called Wolfpaw infiltrates the United States military, and as is the case where “it takes one to know one,” Lupo comes face-to-face with Sigfried, the scariest bad guy I have encountered in a long time. Gagliani achieves what I personally really like to see: he keeps in line with the myths. Werewolves can only be stopped by silver; be it a bullet or a dagger. Yet in these modern times of genetic engineering, what if a super-werewolf could be designed to withstand any silver impediments? Wolfpaw comes up with that very thing. Wolf’s Edge is no teenage “Twilight.” It is an edgy book of dark delights, definitely for the adult audience. The writing in this book is tight and raw. The scenes are gritty and fascinating. Gagliani really delivers the suspense and the scares. He effectively combines genres such as police procedural, mystery, creature feature, horror, and he even throws in a little erotica. There is also a ghost that haunts Lupo who goes by the name of Sam. The female characters are well defined and include Jessie with her addictions and Heather…the woman with a past all her own. This book has it all. I don’t know why I have not head of Gagliani’s Wolf series before. It is certainly not for lack of excitement…I am told that the first in the series was not properly promoted, which is the only explanation as to why such a great series would fly under my radar. All I can say is, don’t let Wolf’s Edge fly under your radar. There is nothing else out there quite like this book. Tired of zombies and vampires? Do yourself a favor and try this book. Wolf’s Edge is an exciting page-turner full of suspense, mystery, and thrills. Don’t miss it. 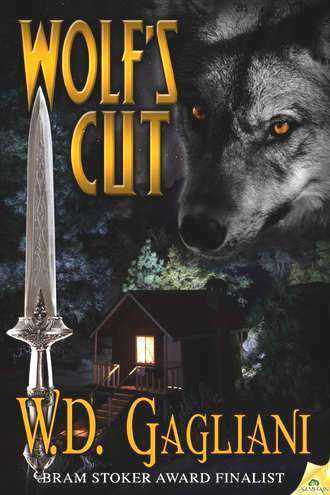 In fact, buy Wolf’s Edge now so you will be ready for Wolf’s Cut (the next Nick Lupo horror/thriller) coming from Samhain Publishing in March 2014. W.D. Gagliani is the author of the novels Wolf's Trap, Wolf's Bluff, Wolf's Gambit, Wolf's Edge, and Savage Nights, as well as many short stories in the horror, crime, and thriller fields. He has also published a fair amount of nonfiction -- book reviews, articles, and interviews, all helping illuminate his chosen fields. Gagliani holds a Master's Degree in English from the University of Wisconsin at Milwaukee, where he also taught Creative Writing and Composition. 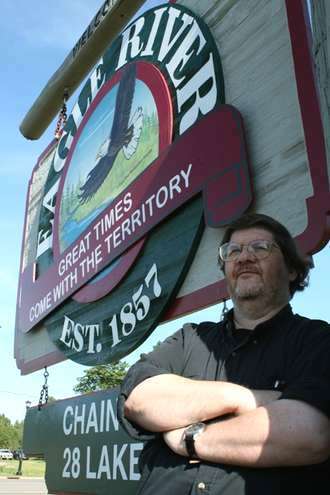 Raised in Genova, Italy, as well as Kenosha, Wisconsin, he now lives and writes in Milwaukee. Jeani Rector is the founder and editor of The Horror Zine and has had her stories featured in magazines such as Aphelion, Midnight Street, Strange Weird and Wonderful, Dark River Press, Macabre Cadaver, Ax Wound, Horrormasters, Morbid Outlook, Horror in Words, Black Petals, 63Channels, Death Head Grin, Hackwriters, Bewildering Stories, Ultraverse, and others. Her novel Pestilence: A Medieval Tale of Plague is released by The Horror Zine books.